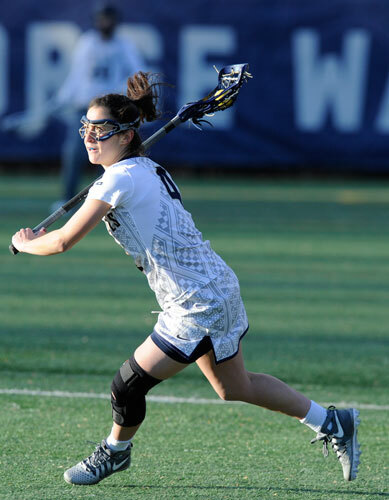 GW women's lacrosse is excited to host a Spring Clinic for athletes that are in 9th, 10th, 11th and 12th grade. We will run the clinic with the same focus, intensity and fun that we have at our college practices every day. The day will include instructional drills, small-sided games and full field play. You will be taught by the GW coaching staff and players for the entire day. Our goal is to share our love of the game with you and to teach you how to take your skills to the next level. If cancellation is received before February 1, all but $25 of the clinic fee will be refunded. There will be no refunds given after this date.